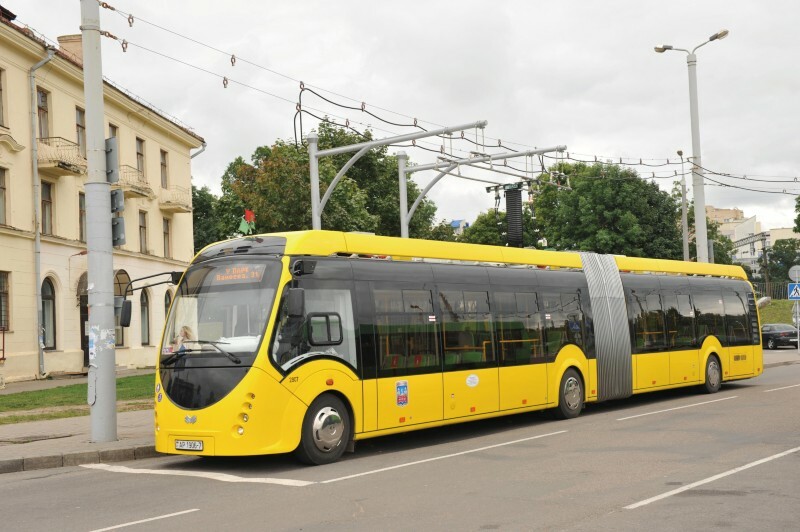 In Minsk, the capital city of Belarus, a 12km bus route is drawing attention. Developed by China’s Shanghai Aowei Technology Development Company, it is designed for supercapacitor-powered electric buses, which use 14% less energy than conventional electric powered buses, while reducing the cost by 6%. The bus line, operational since early 2017, is the first project to emerge from the China-Belarus Industrial Park, a special economic zone 25km east of Minsk. Set up under an intergovernmental agreement, the industrial park, called Great Stone, is an offshoot of the Silk Road Economic Belt. The Belt and Road Initiative, launched by the Chinese government in 2013, aims to improve regional cooperation and connectivity by strengthening infrastructure development, trade and investment in countries along the ancient Silk Road and beyond. In support of this national initiative, the municipal government of Shanghai is launching diverse programmes to broaden international exchange and promote collaborative innovation, pushing the depth, range and quality of international collaboration to the next level. In Israel, Aowei has collaborated with local companies to build integrated electric bus power systems, design routes, and support power supply infrastructure construction. Joint efforts have led to a supercapacitor model bus line with charging stations, and technology standards for supercapacitor buses, which were issued in Israel as national standards. It was a first for China to see its technology standards in new energy vehicles adopted in a developed country. “We appreciate the government support facilitating this,” said Hua. Lotusland Renewable Energy Technology (Shanghai) is another high-tech enterprise in Shanghai to reach out via the Belt and Road Initiative. Specializing in geothermal energy, the company, also registered in the China-Belarus Industrial Park, is working with the Belarus government to develop geothermal energy and other new energy, as well as infrastructure building and manufacturing. Several projects have set the scene for collaboration in the industrial park, contributing to exploring new models of collaborative innovation, particularly in the field of energy. The Shanghai government’s efforts to promote science collaboration with Belt and Road Initiative countries deepen cultural exchange, particularly among young researchers, and support construction of joint technology platforms to enhance research collaborations. Following a Ministry of Science and Technology plan, STCSM initiated an exchange programme in 2017 that funds bright young scientists from countries along the Silk Road Economic Belt to spend six to 12 months in Shanghai for study and work. From 2017 to 2018, with a budget of 27 million RMB, the programme has supported 90 young scientists from Belt and Road Initiative countries to come to Shanghai. Financial support from STCSM will continue for the next few years. To deepen research collaboration, STCSM has also launched a joint programme to build around 20 laboratories or research centres within five years with countries included in the Belt and Road Initiative. “By consolidating and sharing resources, we hope to boost both parties’ research capacities and address common challenges,” said Zhang. The first phase of the project has supported joint laboratories on neurological diseases, precision chemistry, and Terahertz technology. These laboratories will join forces to improve research, talent training and technology transfer, promoting science and technology exchange between Shanghai and partnering countries. For example, based on the established collaboration between the governments of Shanghai and the New Zealand city of Dunedin, Shanghai’s Huashan hospital has joined forces with the New Zealand-China Non-Communicable Diseases Collaborative Research Centre to build a joint laboratory on neurological diseases. The project has received 1.5 million RMB from STCSM and has led to the establishment of a comprehensive brain sample bank, the first of its kind in Shanghai. In search of new cooperation mechanisms, STCSM has also organized international forums that gather government officials, thinktank participants, and leaders of industry. 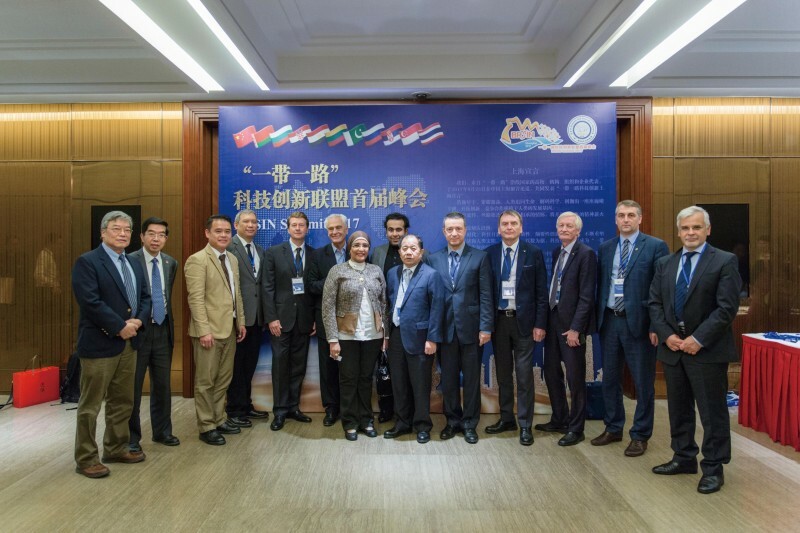 Led by Shanghai Jiaotong University, a Belt and Road Initiative science and technology innovation consortium has been established, providing a resource-sharing platform to maximise the benefits of collaboration.